Category Archives for "Dividend Investing"
If you’re looking for one of the best sources of inspiration for understanding how to invest in dividend stocks, you need look no further than Warren Buffett. As one of the most high-profile American stock market investors around, Warren knows exactly what criteria should be considered when determining which companies offer the best dividend paying stocks. The six features outlined below describe the most important factors to be considered when picking dividend stocks with investment potential, and they might just give you the edge you need to consistently build your wealth, like Warren Buffett has. The value of every dividend stock lies in a company’s ability to generate earnings both today and tomorrow, and one of the best ways to determine that company’s potential for continuing to generate future earnings is by investigating its dividend history. Companies that pay dividends do so from the profits they earn through conducting their regular business activities. If a business has a track record of consistently increasing both its earnings and its dividend payments over a period of at least five years, it probably offers a good chance of continuing to perform well into the future. This is particularly true if its history has included periods of recession or other market downturns. Warren Buffett makes a habit of investing in companies with long and positive histories, such as Coca-Cola for example, since these are the businesses that have demonstrated an ability to compete, adapt and grow within their ever-changing industries. The longer a business has been around, the more confident an investor can be about expecting it to continue to generate positive returns for shareholders. Beyond earnings and profits, a company’s sales revenues and cash flow should be examined, since they can serve as important indicators of how successful and effective its business operations really are. Sometimes earnings reports can make it seem like profits are higher than they are, simply because a company has cut its expenses in a given year rather than increased its sales. This can be very misleading since it doesn’t necessarily mean that the business is performing any better, or is selling any more of its goods or services. At the same time, you should investigate a company’s cash flow situation. Operational cash flow represents the amount of money that’s available to fund a company’s operations, and any business with a negative cash flow will only be able to continue operating for so long. You should never assume that a company has sufficient operating funds just because its sales revenues are increasing. If a business is inexperienced in handling its debt load, or is inefficient in collecting the monies it’s owed, it could find itself in trouble regardless of how many sales it’s making. Remember that Warren Buffett only invests in fundamentally strong and high quality companies that have the lowest risk of collapsing or becoming obsolete. When it comes to evaluating stocks that pay dividends, it’s important to recognize that every business has its competitors. Even if its track record indicates that a company’s been able to outperform its competitors strongly enough in the past to generate profits over the long-term, how can you know if it will be able to maintain its competitive advantage in the years to come? Naturally, no investor, not even Warren Buffett, can predict the future with absolute certainty. But if you consider companies that have a sustainable competitive advantage, you will increase your chances of picking dividend stocks with the best potential for providing you with income well into the future. What makes a competitive edge sustainable? Some businesses establish such high profile reputations as leaders within their industries, that it becomes very difficult for other companies, old or new, to compete with them. Competitors may manage to go head-to-head with more successful businesses temporarily – by selling their products or services for less – but undercutting prices is not a sustainable marketing practice without the financial resources to support it. At other times, a company may grow so quickly that it doesn’t get the chance to develop a strong enough financial framework to support its expansion. It, too, will often end up succumbing to the loss of its competitive edge. When Warren Buffett invests in companies that pay dividends, he seeks out businesses that demonstrate a strong competitive advantage that is also durable. Whether it’s a widely recognized brand name, a solid financial foundation that increases buying power, or a unique product patent, these types of competitive advantages allow well-managed companies to keep churning out dividends over the long run. It’s important that you consider whether the product or service a company offers will continue to be in demand in the future. Regardless of a company’s competitive advantage over other businesses within the same industry, there’s no guarantee that the industry as a whole might not experience a decline in years to come. For a business to succeed over the long run, it must continuously adapt to changes within its market sector or, in the case of Warren Buffett’s top holdings, must already be part of an industry that changes very slowly to begin with, such as the banking industry. Beyond this, you should check to see if the companies you’re considering investing in are offering goods or services that are geared toward segments of the population that are growing, in both numbers and in individual earnings potential. If there aren’t enough people with enough money to buy what a company sells, that company is going to have trouble generating profits. And no profits, means no dividends. Lastly, the dividend-paying companies you pick should have a future growth potential you can readily identify, whether it’s in the form of plans for a new product line, bigger production facilities, or an expansion into new markets. Undervalued stocks are those offered by high-quality businesses that have become unpopular with investors, and that are now trading at or below what is considered fair market value. Sometimes companies experience one-time events that cause their stock prices to drop over the short-term. These events often take the form of high profile news reports or scandals, such as an oil spill that affects the reputation of a petroleum company, for example. In time, the negative repercussions caused by these events blow over, and stock prices usually rebound if the business involved is fundamentally strong, and able to continue its operations as usual. In many cases, unpopular stocks offer attractively low price-to-earnings ratios, and often end up priced well below the value of a company’s assets. Warren Buffett’s example tells us that we should look for a combination of both quality and value in order to benefit from the best long-term returns, since an “unloved”, but quality, company has a good chance of boosting its stock price back up to its intrinsic value over time. In all the factors we’ve discussed for picking the best dividend paying stocks, holding your investments for the long-term plays a key role. Investing for the long run, whether it’s years or even decades, gives your stocks the opportunity to live up to their full potential in terms of growth and performance. Compounding your returns, or putting your earnings to work by reinvesting them and having them generate additional earnings, can only happen over time. When you use your dividends to purchase additional shares of stock on a regular basis, your earnings will continue to grow exponentially. And if you take advantage of a DRIP (dividend reinvestment plan), you can set up this compounding tool to function automatically, with no extra work on your part. 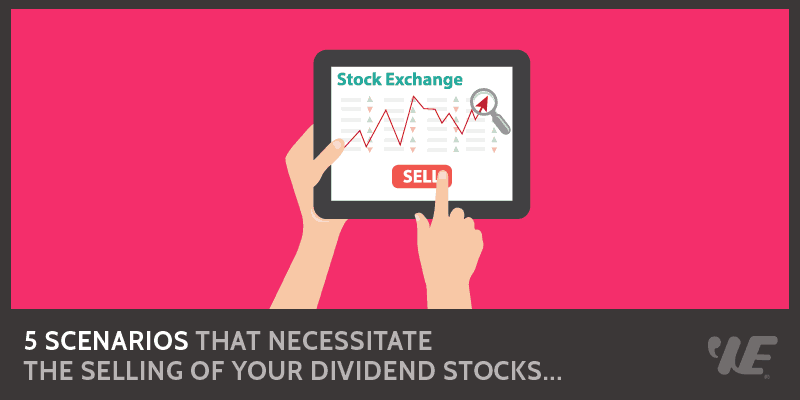 Buying and holding your dividend stocks also means that you can benefit from the returns they offer without having to pay capital gains tax. When you sell a stock that has gone up in price since you bought it, you must pay a special tax on the amount gained. But if you hold onto your income-generating stocks for the long run, you can continue to benefit from compounding returns that are unaffected by any increase in the stock’s price. This is the investment approach that Warren Buffett is best known for. And finally, when you buy or sell a stock in your portfolio, you often become subject to transaction costs such as commission charges or brokerage fees. These types of turnover costs can add up over time, taking money out of your pocket and affecting your overall return on investment. Holding your dividend stocks for the long-term not only helps to keep investment costs down, the fees you save can provide you with more available money to invest. The bottom line when it comes to picking dividend stocks like Warren Buffett is to keep things simple. His proven strategy of choosing a few, fundamentally strong and high-quality companies that demonstrate both a solid performance history, and a promising future potential, has helped to make him the investing giant he is today. And it’s sure to help you, as well. Initiating a stock buyback is generally a smart way for a company to make use of any excess cash it may have, particularly if it finds its stock has become undervalued in the marketplace. But as a value investor, you should never assume that every business out there has your best interests at heart. There are a number of ways that a company’s buyback plan could negatively impact your investment, especially if it’s undertaken for the wrong reason, or at the wrong time. Developing an understanding of these worst-case scenarios will help to protect your portfolio from the disastrous downside of a buyback gone wrong. When motivated by positive intentions, companies engage in stock repurchases to help boost shareholder value. In a previous article, entitled “6 Reasons Why Companies Buy Back Their Own Stock”, we examined a number of ways that share buybacks can help to increase a stock’s overall worth. When a company offers to buy back shares of its own stock from its shareholders, it effectively removes those shares from circulation. This both provides shareholders with the option to receive a cash payment, usually well above market price, for some or all of their stock, and causes the stock’s EPS to rise at the same time. With fewer shares on the open market laying claim to the company’s earnings, it means that each share will be entitled to a larger portion of those earnings than it was before the share repurchase. Both higher earnings, and the confidence to reinvest in itself, are seen as positive growth indicators in a company, and investors will tend to push up a company’s stock price following a share buyback announcement as they rush to take advantage of this promising scenario. Unfortunately, not every stock repurchase scenario is a positive one. The following situations describe six ways that a company’s decision to buy back its own stock can lead to potential loss inside your portfolio. Stock buybacks can be quite effective in helping to bring an undervalued stock’s price more in line with its intrinsic value. But implementing a buyback when stock is selling for more than it’s inherently worth demonstrates, at best, poor judgment and, at worst, a sign that the company is trying to artificially enhance its earnings picture for some reason. Obviously, you shouldn’t view either of these possibilities as desirable characteristics in an effective management team, since buying overvalued stock will inevitably lead to an overall decrease in shareholder value. While an increased EPS is generally considered to be a good thing where shareholders are concerned, initiating a share repurchase for the sole purpose of hiking up earnings is not a wise business practice. It’s important to remember that the increase resulting from spreading the same earnings among fewer shares doesn’t actually reflect a higher level of intrinsic value within the stock itself. In a sense, the higher EPS is somewhat artificial since it wasn’t the result of increased earnings from regular business operations, and the company had to actually spend money to create it. If you’re a long-term investor, the end-result of such a ploy will likely offer very little in the way of benefits, and if the temporary manipulation of EPS just before an earnings announcement was the company’s main stock buyback goal, you may want to reconsider your holdings with them. Would you be surprised to learn that share buybacks are sometimes undertaken for the sole purpose of lining the pockets of company executives? Unfortunately, it’s true. Key management personnel are often compensated by way of stock options. And while the intention behind this perk is positive, since it results in managers becoming personally invested in the performance of the businesses they run, the potential downside is that many executives will use stock repurchase plans to maximize their returns, by keeping outstanding shares down, and EPS up. Taking on debt to fund a share buyback is not usually a smart financial decision. Sometimes it’s done because the company expects that its ever-increasing operational earnings will serve to pay off the debt in a timely enough fashion to make it worthwhile. Other companies believe that using debt in this way is financially efficient because, unlike share dividend payments, loan interest is tax deductible. Regardless of the thinking behind it, it’s important to remember that debt is debt and must be repaid. Not only can increasing a company’s debt load in this way drain cash reserves and harm credit ratings, it has the potential to run both the company and its investors straight into financial difficulties. Now and then, taking on debt to support a share repurchase plan may serve another intended purpose. Adding a large measure of unattractive debt to its accounts. In either case, this type of share buyback scenario represents a desperate defensive measure that simply does not support the best interests of the shareholder. Sometimes a stock buyback is a frantic attempt to offset poor performance or a difficult economy, or it may even be a last-ditch effort to save a floundering business. While repurchasing shares can help to raise their EPS temporarily, it’s no match for declining profits. You should also watch for companies that use stock repurchase announcements to try and lift the price of their stock, without actually following through on their plans. Many share buybacks are announced, but never fully implemented. 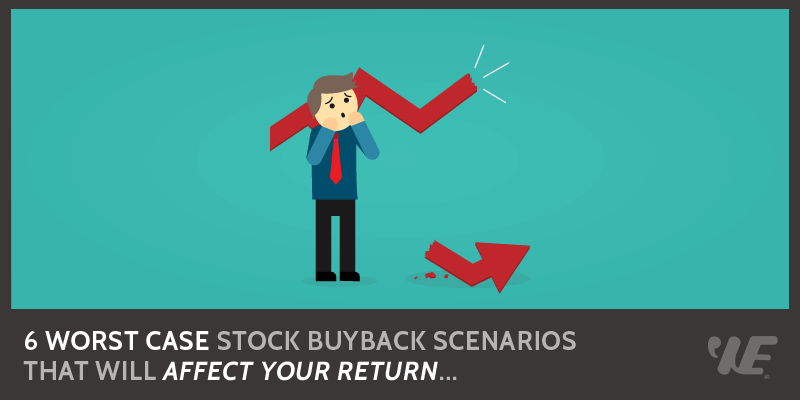 A stock buyback is meant to be a positive investor event that can help to increase the value of your shares. As a value investor, it can’t be stressed enough how important it is that you take the time to comb through the fine details of any share repurchase announcement for such warning signs as overvalued stock or an increased debt load, before acting on it. It can be difficult to know just how to get into stocks if you have no prior experience with the stock market. Fortunately, dividend investing is not only a relatively straightforward method for getting your feet wet in the market, it can also be a very effective way to introduce passive income into your investment portfolio. 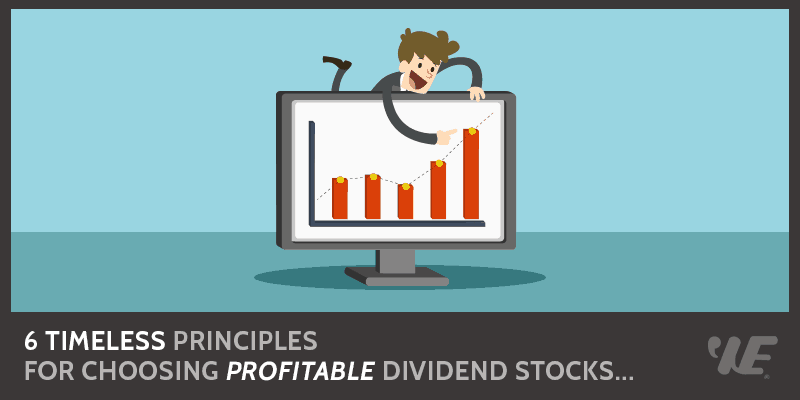 When you buy shares of stock in a dividend-paying company, you become entitled to receive cash payouts several times a year that are based on the profits generated by that company. And if that same business continues to perform well, and experiences positive financial growth, the amount paid out in dividends often increases alongside company earnings. In order to understand how to invest in dividend-paying stocks for your best chance of success, you should have a thorough understanding of exactly what a dividend is, why companies pay them to their shareholders, and how you can make the most of them to build a solid and diversified investment portfolio. The focus of dividend investing is to generate both passive income and a positive cash flow within your portfolio, from stock dividends. 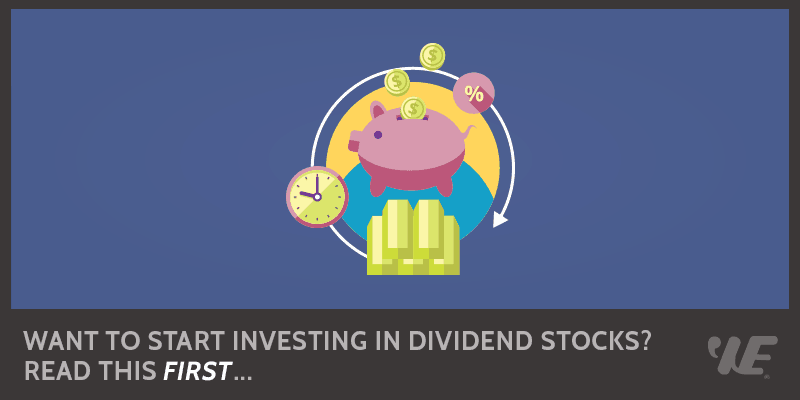 In its simplest form, a stock dividend is an amount of money, usually in the form of cash, which a company pays out at regular intervals to those investors who hold shares of its stock. When you buy shares in a dividend-paying company, you are effectively buying a very tiny fraction of ownership in that company, and as a partial owner you are entitled to share in any profits. Many companies issue lump sum payments on a quarterly basis, or every three months, and when a business produces strong and stable earnings over the long-term its dividends not only remain consistent, but often benefit from regular increases as well. But how can you know if a company’s annual dividend amount makes it worth considering as a potential investment? Payouts fluctuate from business to business, so what size of a dividend should be considered attractive? Just because two different companies both pay out dividends of $1 per share every year, it doesn’t make them equitable in terms of potential investments. You need to know how much you will be earning from each dollar you invest in a company’s shares, and the best way to discover that is to consider the stock’s dividend yield. The dividend yield is simply an amount, represented as a percentage, which indicates your return on investment (ROI) in much the same way that a bank account paying you 2% interest, equates to earning an ROI of 2 cents for every $1 you keep in the bank. If Company A pays $1 per share each year to its shareholders, and its shares cost $20 each to purchase, you would benefit from an annual dividend yield of 5%. If, on the other hand, Company B also pays $1 per share every year, but its shares cost $40 each, the dividend yield would be far less at only 2.5%. Therefore, all else being equal, to earn the highest level of income possible from dividend investing, you should make a habit of looking for those companies that offer the highest dividend yields. Why do Companies Pay out Dividends? But why do companies pay out dividends in the first place? Not all companies offer stock shares that entitle the owners to regular dividend payouts, so it’s obviously not mandatory for every business with public shares to do so. Stocks that pay dividends are meant to serve as a signal to potential investors that a company is financially strong and stable, and that it expects to remain so over the long-term. Essentially, dividends are a real-life indicator of a company’s financial health, and they indicate that the business is confident in its ability to perform well consistently enough to earn a regular profit. Many people like you who are looking to generate passive income through the stock market, will choose dividend-paying stocks over other types for this very reason, so it’s a great way for a mature and stable company to attract new investors and sell more shares. After all, it’s partially through investor dollars that a business continues to fund its operations and growth activities. And there’s the added benefit for a dividend-paying company that any increases it can make to its dividends will lead to a correlating increase in its stock price, and to its overall value in the eyes of potential investors. So why doesn’t every company offer a dividend to its shareholders? There are two main reasons why a business may choose to forgo offering a dividend payout on its shares. First of all, some companies believe that offering a dividend is irrelevant to many investors, since those looking for a reliable income vehicle for their portfolios will often turn to bonds for their regular and stable interest payments. Stock dividend amounts can fluctuate, and while decreasing or cutting out a dividend is the last thing any company would choose to do, because of the potentially negative repercussions on its stock price, it can happen; especially when business earnings or the economy in general take a turn for the worse. Secondly, those companies that forgo dividends understand that they are taxed more heavily in the hands of the investor than long-term capital gains. Rather than paying out excess earnings directly to investors, some companies prefer to increase the value of both their business and their stock price by reinvesting those funds back into their own growth. This strategy can help to support such valuable activities as opening new branches or departments, purchasing additional assets or companies, and implementing better marketing initiatives. But for our purposes in exploring the great potential offered by dividend investing, we will only consider stocks that pay dividends. Just the same, it’s important to be aware that not all dividend-paying stocks are created equal, and that not all of them are good candidates for helping to earn passive income. Later, we will explore how to pick the most profitable dividend stocks to invest in for this purpose. Because a company sets up regular payout dates for its dividends each year, it’s crucial that you understand the various dates associated with dividend investing in order to avoid buying a stock at the wrong time, and missing out on the dividends you were expecting to receive. The key dates associated with every dividend include the Record Date, the Ex-Dividend Date, and the Payment Date. While the payment date is straightforward in its definition as the date on which dividend payments are made to eligible shareholders, it’s the relationship between the other two dates that determines exactly who is an eligible shareholder, and who is not. When a company declares (on the Declaration Date) that it will be paying a dividend to eligible shareholders, it also reports the record date associated with that dividend. The record date is the cut-off date by which an investor must be on record as owning shares of the company in question, in order to be eligible to receive the latest dividend. To accomplish this, it means the investor must own or have purchased shares before the ex-dividend date, which is set at two business days prior to the record date. This time difference has been established to correspond with the time it typically takes in North American markets for a trade to settle, and for investors to be on record as shareholders after a stock purchase. Shares bought or sold before their established ex-dividend date are bought and sold with the attached right to receive payment for the most recent dividend amount. Those purchased or sold on or after the ex-dividend date do not have this right attached to them, and so are described as being “without (or “ex”) dividend”. In summary, you must own shares of a given stock before its ex-dividend date in order to receive the next dividend that’s been scheduled to be paid to shareholders, and there are two ways you can do this. You can either purchase or hold company shares before the ex-dividend date, or you can sell shares you already own on or after this date. In either case, you will be eligible to receive the dividend in question, since you will be the shareholder of record on the stock’s established record date. Dividend investing for the purpose of building a passive income stream is really only effective when you look for stocks that pay out regular dividends to shareholders. At the same time however, companies that pay out too large a portion of their earnings as dividends run the risk of coming up short in terms of having the available resources to fund their future growth. And it’s a company’s continued growth that provides the basis for regular dividend increases. Ideally, you should look for those businesses that retain a minimum of 40% of their annual earnings to reinvest in their own development, and as an investor, this means seeking out those stocks with a dividend payout ratio of 60% or less. Companies that are mature, stable and financially strong provide the best chance that an investor will continue to receive consistent dividends that offer good potential for increases. As such, you should only consider solid businesses that have a history of strong financial performance, and that have demonstrated consistent growth in both their net income, and their cash flow. In practical terms, this means looking for low-debt businesses with a debt-to-equity ratio of less than 50%, since the more debt a company carries in relation to its assets, the more income it must put toward supporting that debt, and the higher the risk that this liability will begin to cut into its dividends should earnings drop off for any reason. Beyond just maintaining dividend payouts, companies selected for passive income investment purposes should ideally be striving to increase those payout amounts, on a regular basis, through earnings growth. This means you should look out for those businesses that have a selling advantage over their competitors, or which offer a product or service that will remain in high demand over the long-term, or that demonstrate strong management performance. Any of these attributes can contribute to a company’s successful future growth, and the details surrounding its management policies and expansion strategies can be found in every business’s annual report. Dividend investing can provide a good source of passive income, but it’s not necessarily the fastest way to grow your money over the long-term. There are other investment vehicles that can help you to grow your profits at a faster rate, and you should consider investing in a variety of investment types in order to take advantage of their various benefits. Diversification within your portfolio remains one of the keys to investment success because it can help you to both dilute risks and to maximize returns. Rather than investing all of your money in dividend-paying stocks, you would do well to also include investments such as Exchange Traded Funds (ETFs) and value stocks in your portfolio. While income stocks will help you to create a good stream of passive income, ETFs can contribute to the long-term stability of your overall portfolio returns, and value stocks may help to increase those returns at a faster rate. Dividend investing is by far one of the best ways to use the stock market to generate passive income and to increase cash flow in your investment portfolio. Remember that not every dividend-paying stock is useful for this purpose, and you must learn to identify the profitable ones in order to continue to build your wealth. Before you purchase any investment, you should take the time to become familiar with exactly how it works, and its inherent risks and possible disadvantages. If you learn as much as you can about the dividend investing approach before you buy your first stock, you will greatly increase your chances of benefitting from regular, long-term passive income, with as little risk as possible.